Get ready to say goodbye to a seafood stalwart and a pioneer of pie — with free pizza from the latter. 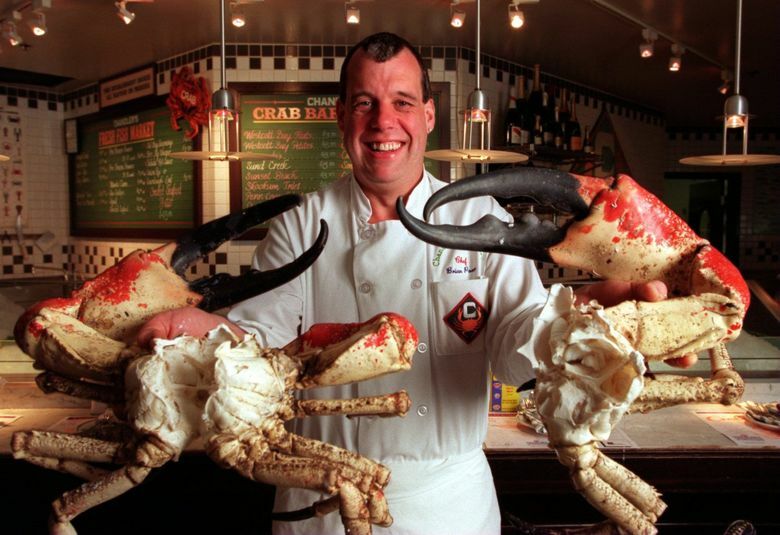 After 30 crabby years in South Lake Union, Seattle seafood stalwart Chandler’s Crabhouse is closing — a decision “initiated by Vulcan’s plans to redevelop the property,” according to owners Schwartz Brothers Restaurants. Chandler’s is the oldest restaurant in the area, and Schwartz Brothers reports that over the last three decades, it’s gone through more live Dungeness crab than any other restaurant in the U.S.
Chandler’s fans have plenty of time to say goodbye, with the final night slated for September 30 and special events TBA in the interim. All employees are being offered work at the group’s Daniel’s Broiler restaurants. There are no current plans to close Daniel’s Lake Union, a stone’s throw from Chandler’s, but the company awaits an update on Vulcan’s plans for that property. And in the University District, the last day for the very first Pagliacci Pizza — open since 1979 — will be July 26. Co-owner Matt Galvin calls the place “a Seattle gem,” saying in a statement, “It is with a heavy heart that I announce we are closing it. Both the Ave and our business have changed.” He cites a focus on “growing our locations that offer slices, dine-in seating and delivery.” The local chain now has two-dozen-plus locations and is still growing, with a third U.W. campus outlet opening soon at Willow Hall. All Ave employees will be transferred to neighboring shops. To celebrate, the original Pagliacci will be giving away free pizza on the last day from 11 a.m. to 4 p.m. — that’s July 26 — limit two slices per person.